When you think special dessert, I’m guessing vanilla pudding isn’t your first thought. I know pudding seems more like childhood snack than grand dessert. And poor vanilla is the often overlooked flavor – passed over in favor of more decadent sounding flavors like Death by Chocolate or Dulce de Leche. Well, I’m here to advocate for the humble vanilla pudding. 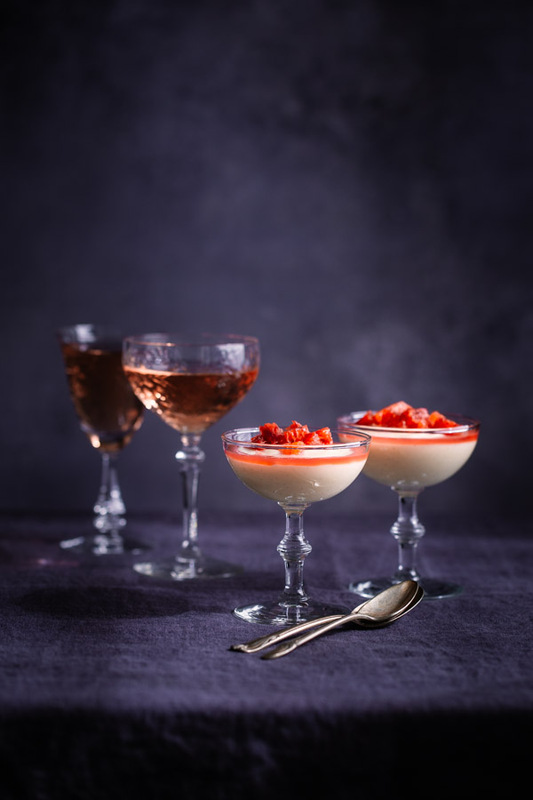 I believe pudding can be just as elegant as mousse, pot de crème or flan and it is so much easier to make. You probably already have everything you need to whip up a batch of vanilla pudding right now. And you can have it in the fridge in less than 20 minutes. This recipe makes just four servings so you can indulge just enough and not have a lot left over to tempt you for the next several days like you might with a large decadent cake. 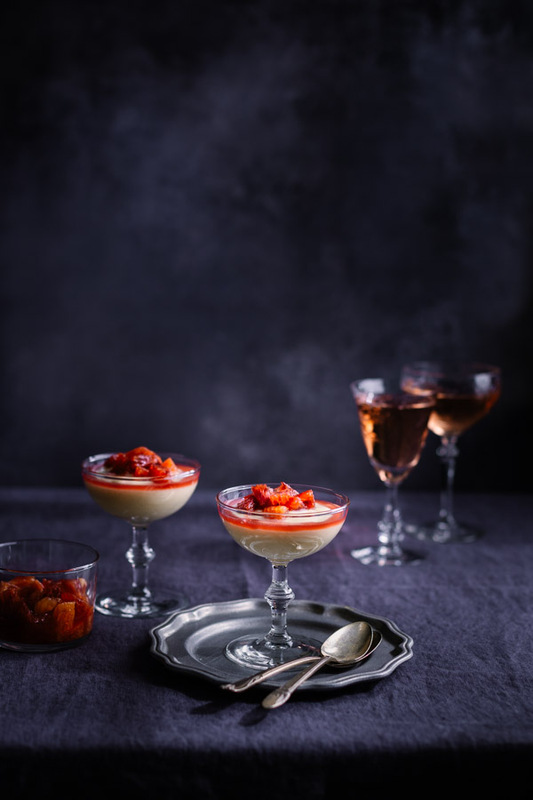 But don’t feel like you’re sacrificing anything here either, this vanilla pudding is rich and creamy and will satisfy any sweet tooth. If you been reading my blog for awhile, you know I’m a big fan of pudding for all kinds of occasions. Vanilla pudding for Valentine’s Day is perfect in my opinion. 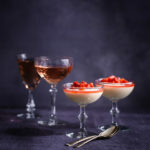 You can dress it up by serving the pudding in pretty stemware and topping it with some blood oranges or white chocolate curls. No one has to know how effortless the whole thing was. Hi, I’ve never used vanilla bean paste… what brand do you recommend? We use Nielsen-Massey. We get ours at Euro-mid but I think I have also seen it at Central Market. I’m sure Robert would be happy to pick up a bottle from Euro-mid for you the next time he’s there.